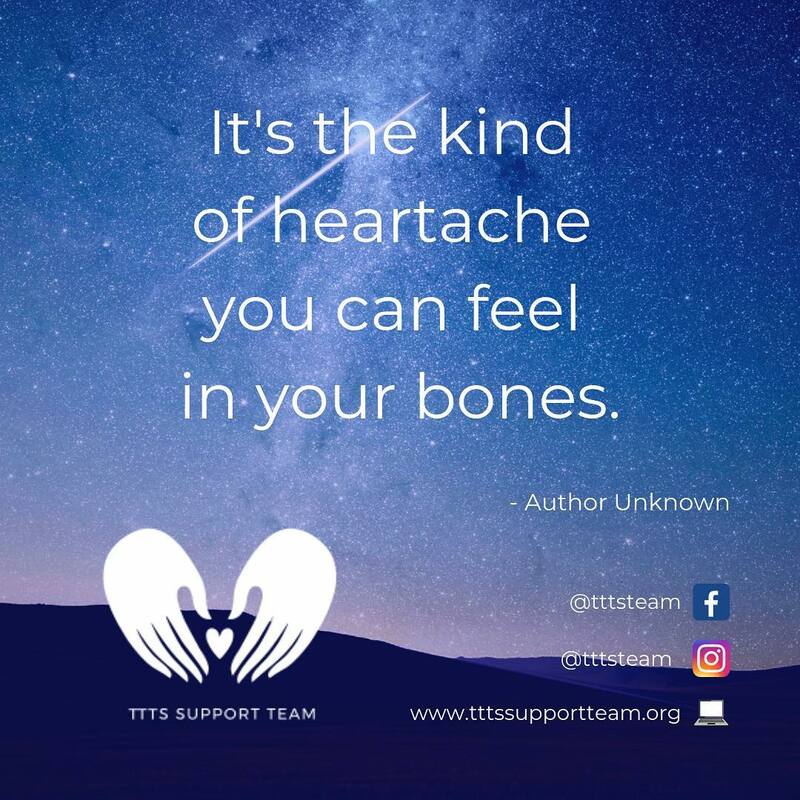 When we started the TTTS Suppport Team we started as a group of parents who wanted to offer support to the grieving parents of our community. Grief support is our foundation. We began by creating and offering free grief care packages. This program continues to be one of the core programs of the Team. We send packages world wide. There is no time limit to when a family can request a grief package, because there is no time limit to the grief families experience. Two other foundational programs created by the Team include; Mother's Day and December Holiday card mailings to the mothers and families who have received our packages in the past. Our newer programs include an awareness raising blog of TTTS stories as told by the families and a December social media blitz of TTTS experiences to promote connection and sharing within our community. Look to 2019 to include another very exciting awareness project and more specialized support for another specific group of the TTTS community. If you are newly diagnosed and have questions or are going through a long NICU stay and would like support, we can help too, email us at TTTSSupportTeam@aol.com. If you are interested in becoming a volunteer member of the Team please email us at TTTSSupportTeam@aol.com or message us on our Facebook page. PLEASE CLICK HERE to request a grief package. We are so excited to now include this book in our families' grief packages. It was written to help all children remember that Love Lasts Forever. These books were donated to us in honor of Baby Cooper Doyon-Canada. A friend of the creators of this book, Jessica Lawrence Lesko, bought it as a gift for a couple who had one of their twins die due to TTTS. The family let Jessica know that it offered support and comfort for the family as they shared the book with their survivor. Please visit their website or their Facebook page for more information on the book and the creators. Anytime you shop on Amazon we ask you to consider signing up with Amazon Smiles and choosing the Twin to Twin Transfusion Syndrome Support Team in Bethlehem, PA.
You get the goods from Amazon and we get a donation from every purchase you make! What is your True Word? We have a number of originally created products available for purchase through Threadless. All designs are exclusive and made with love by a team of designers who have been working over the past few months to bring them to you. These are words of healing and hope, words to wear with pride, or to use as conversation starters. Words you can gift to friends and family. Click here - to be taken to our boutique where you can shop all the True Words designs. All proceeds benefit the TTTS Support Team.